this way, the Course will follow and adapt the twin tier approach made popular with Metro, and address the main issues impacting on MFL teachers in 2008. Clic 3 Students' Book Plus is aimed at the Year 9 students in the lower ability/attainment range. teams for Envol,Bouquins a la Mode and French to Standard Grade. 3. 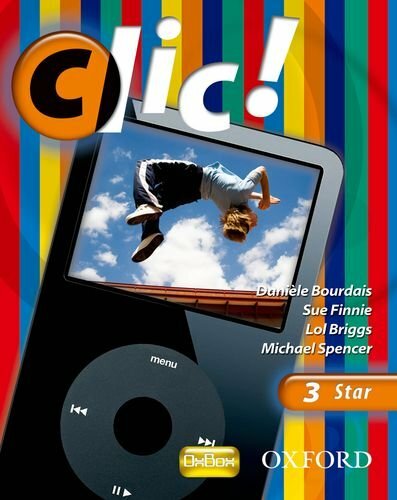 CLIC 3 STAR: LIVRE DE L'ETUDIANT. Bourdais, Daniele., Sue Finnie , Lol Briggs and Michael Spencer. 4. CLIC! : 3 STAR: LIVRE DE L'ETUDIANT.